An interesting eco-friendly product that is excellent for lazy lighting of campfires and wood stoves in good conditions. It is extremely easy to use and burns longer than most fire starters, but does not perform as well as alternative fire starters in adverse weather. It would not be my go-to fire starter if I anticipated adverse conditions such as wind and rain, but will likely be in my pack for those weekend trips where the weather is more predictable and I want to get a fire going with the minimum fuss and maintenance. For years I have carried UCO’s stormproof matches and in my experience they provide high quality fire-related products that are dependable and work in all conditions. Before getting into the details of the Sweetfire, I feel it is best to emphasize the intended function of this product. UCO does not claim that the Sweetfire is waterproof or windproof, which it does on other matches that are intended for that purpose. I shouldn’t say “other matches” as this is not a match. 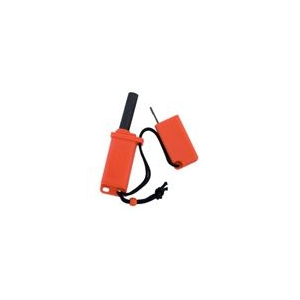 It is a strikeable fire starter and therefore bridges functions between a match and a compressed fiber fire starter, similar to the commonly found Coghlan’s fire sticks. 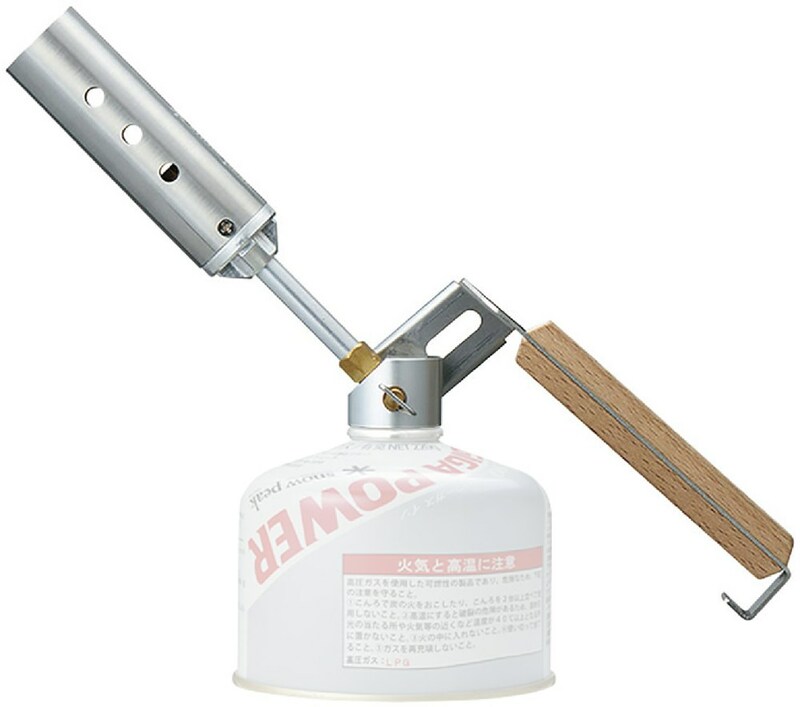 The UCO Sweetfire Strikeable Fire Starter is an environmentally friendly product to assist in lighting and building campfires and wood stove fires. It is composed of “bagasse”, a sugarcane byproduct, and vegetable wax in a triangular shape with a strikeable match-like head. There are 20 pieces in a 6" by 5.5" by 1.1" package, conveniently attached in 4 nesting rows of 5, along with a small strike pad (in addition to two large strike pads on the box). 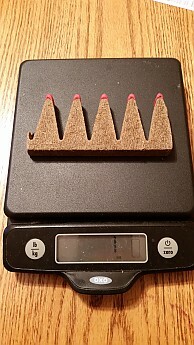 Each fire starter weighs less than ¼ ounce, and a typical row of 5 weighs about an ounce. 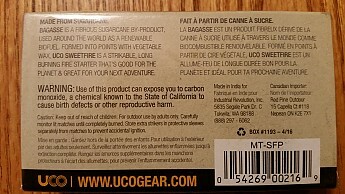 UCO claims a burn time of up to 7 minutes and a weight of 4.9 ounces for the entire pack of 20 with the box. My burn time tests are discussed below, and weights were very similar. I light a lot of fires: mostly in my wood stove averaging about two per day and also the occasional camp fire when I stay in permanent campsites. When not on the trail I light a fire in the backyard fire pit around three times a week. While I consider myself above-average at fire building skills I am not a bush craft guy so there are many folks with more fire starting experience. Due to the amount of fires I start, I usually end up doing it in the easiest way possible and have always brought along and used fire starters for that purpose. I do enjoy starting fires the old fashioned way with only natural tinder and kindling on shorter hiking days, when time permits. I wanted to thoroughly test the Sweetfire in as many conditions so used a combination of backyard laboratory and back country real-world experience. I also used it in several fire ban areas after checking with rangers that my Caldera Ti Tri stove’s wood burning option was legal. There was one instance where it was questioned as wood stoves were not addressed in the ban, until we got into a discussion of the reason for my request. The representative ended up being a fan of Trailspace reviews, and decided to allow it with a promise of my strict supervision. I used the Sweetfire to light fires in my wood stove (above) and make fires in my fire pit when conditions allowed. I was supplied with 40 Sweetfire starters and used all of them in various conditions. Testing occurred from October 2016 through January 2017. This included four backpacking trips of 2-4 nights and over 20 back yard fire pit tests. Weather ranged from mid-80s to 10 degrees and windy on the backpacking trips. Unfortunately for testing, no rain occurred during these trips but I used the Sweetfire several times during mist, light rain, and steady rain in December and January in the fire pit, plus in a light snow and wind this last weekend to wrap up the adverse weather testing. Comparison tests were made with several other products. 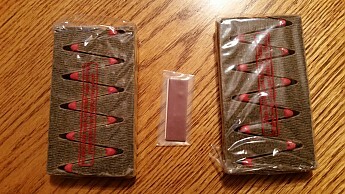 Primarily I tested the Sweetfire against its closest related product – Coghlan’s fire sticks (see Bentbrook’s excellent review of that product), which are made of compressed wood and wax and similar except for the lack of the strikeable head. 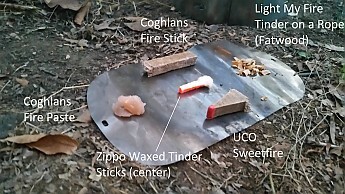 Ability to light and burn time were also compared to several other products pictured above including Coghlan's Fire Paste and Fire Sticks, Light My Fire Tinder-on-a-Rope (Fatwood), UST Wetfire tablets, and Zippo Waxed Tinder Sticks shown in the photo above (except the UST Wetfire as I purchased them after the photo). I also used as many different kinds of fuel as possible including different species of trees, dry and wet wood, and relatively new green wood. All wood was downed and no live branches were used to adhere as much as possible to Leave No Trace principles. 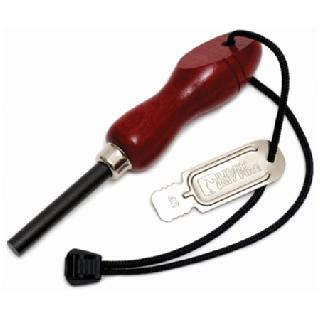 The Sweetfire is the most convenient and easy to use fire starter that I have tried. It was really nice to wake up in the morning, grab a Sweetfire, strike it, toss it into the Caldera Ti Tri, throw some twigs on it, then drift off for a few minutes while the fire gets going. Next thing you know I’m sipping on coffee and deciding what to cook for breakfast over the coals of a really nice little fire. I found the Sweetfire strike lighting feature to be excellent in good weather. It has a large surface area and lights easily, and the initial flame lights the fuel portion of the Sweetfire quickly when held at a downward angle. The initial flame is not a storm-proof “flare” like many of UCO’s matches but is sufficient to light the product except in high winds (see Weather Resistance below). However, when wet the strike head gets “gummy” and some of the coating comes off. The UCO website says to just dry it off, but that only worked for me when it got a drop or two of rain on it. If really wet, the strike head does not work at all. It semi-dissolves and comes off on the strike pad. It also requires the pad to light and is not strike-anywhere. Due to this issue, I also tested the Sweetfire’s ability to be lit by other devices (match, butane lighter, and spark lighter). 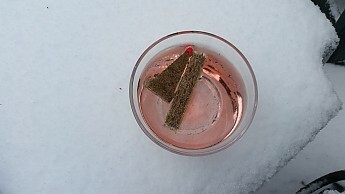 I was able to light it with all these methods in any type of weather. Lighting with a flame was relatively easy, and spark lighting took a little extra work as usual. The latter method was still not too difficult after I scraped a bit of the fuel off to work as tinder, which is how I use fire sticks as well. However, in a decent wind, the initial flame can go out without shelter. The Sweetfire lit by fire steel sparking when dry and after being soaked for 30 minutes, but was slightly harder to light in both those conditions than the Coghlan’s fire sticks, which I consider its closest competitor. Burn time of the Sweetfire is excellent and longer than most commercially available fire starters. UCO claims it will burn up to 7 minutes, but I found that to be the minimum burn time so I applaud them in not overselling the specs. In my tests, the burn time is from 7 to 10 minutes, with an average around 8.5. The last minute of the burn is really low and probably not an effective flame for fire starting, but it definitely can burn for the claimed 7 minutes with only one test yielding low flame starting at 6 minutes. The burn time didn’t change significantly if the Sweetfire was standing on end or laying down - the vertical orientation duration was slightly shorter. The height and width of the flame did vary based on the orientation but no more than expected, just slightly taller when standing up and wider when laying on its side. No matter the conditions, I am confident that the Sweetfire will burn for at least 7 minutes as claimed. 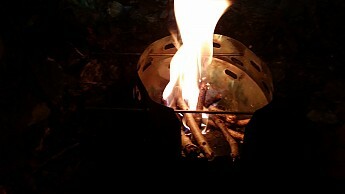 I also tested its ability to burn different kinds of wood from wet wood, large sticks only (dry), and green wood. Due to the length of the burn time, the Sweetfire was able to get all these varieties of kindling started. The wet wood did need some help from the Vargo fire starter bellows function but that is to be expected. The weather resistance of the Sweetfire gave me the most trouble in my evaluation and rating. 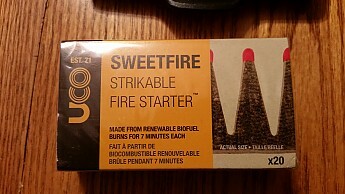 I would like a fire starter to have the maximum water and wind proofing, and therefore was initially a little disappointed that the Sweetfire was not completely wind and water proof. However, UCO does not claim that this product is storm proof like it does for several of its match products. Therefore, I tried to minimize the influence of this in my rating of the product as much as possible. 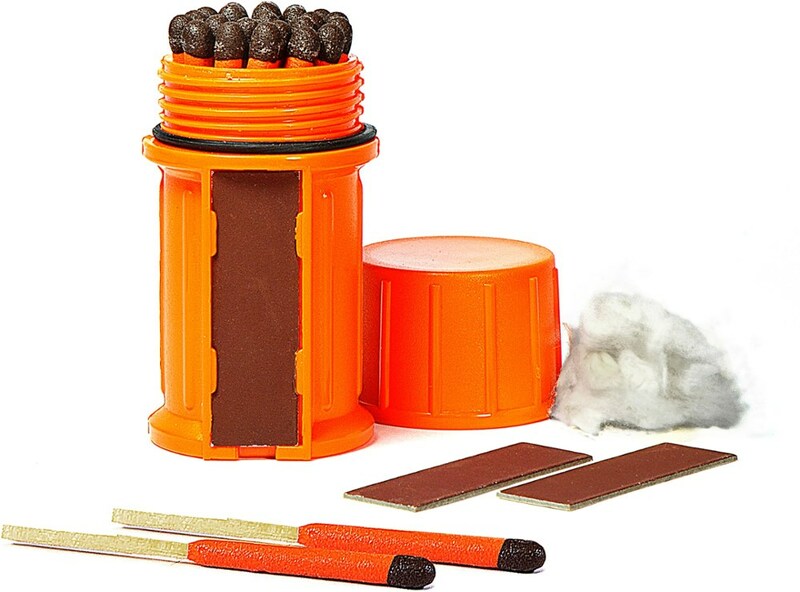 Most windproof matches start with a “flare” that can survive in high winds and rain. 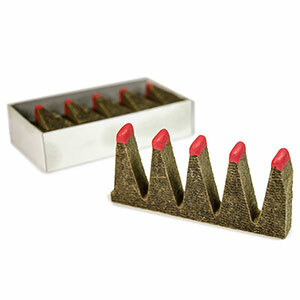 The Sweetfire has a standard match flare that is not stormproof. I found that it takes care in high winds to shelter the starter and keep the flame going until it really takes hold in the fuel. I had difficulty lighting the Sweetfire in snow and moderate (20 mph) wind, but once it got going high winds did not put the flame out or significantly affect its burn time. As stated earlier, the igniter on the Sweetfire is not waterproof. It literally fell apart after soaking for a few minutes, and one I left out in snow was not usable. If soaked for a minute in water, you can begin to see color of the igniter. This photo is after about 5 minutes. 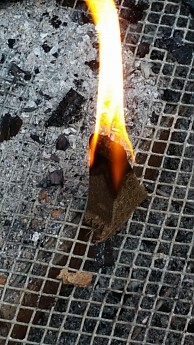 However, if lit by a different device (match, butane lighter, or spark lighter) a Sweetfire left in water for 30 minutes burned just almost well as a dry one. I also tested this product in a really steady downpour of rain and found that it burned longer than normal but with a slightly smaller flame. The strike light function worked in the rain when the Sweetfire was dry and just exposed to the rain while lighting. I have a lot of respect for UCO producing a fire starter made from environmentally sustainable byproduct waste material, and enjoyed using it and a handful of twigs to cook on my stove rather than burning fossil fuels. However, I think a better ignition head would be a small sacrifice to the sustainability of the product. That increase in strike lighting capability would (for me) overcome its slightly lower performance compared to Coghlan’s Fire Sticks, and the Sweetfire would be one of my go-to starters for most conditions. 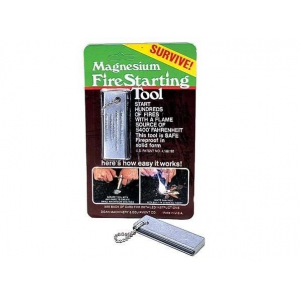 Overall, this fire starter has some advantages over other commercially available products but suffers from its attempt to be both a match and fire starter in one. It burns longer than most and is easy to start in decent weather (no high winds or heavy rain), but is more difficult to light with a fire steel and can be affected by wind. It costs more per unit than some other options as well. I struggled a bit with the 4-star rating for this product. Since it wouldn’t meet my requirements for a trip with uncertain or adverse weather, I was considering a 3- or 3.5-star rating. However, UCO has provided honest and up front packaging and doesn’t claim that this product is either water or wind proof. Their popular matches are weather proof and state that clearly on the packaging, so I concluded this was not the intended use of this product. Therefore, I gave it 4 stars for its convenience in “normal” weather conditions to function as a really easy way to light a wood stove or fire. I would carry Sweetfire starters on short trips with predictable weather when I am going to light a lot of stoves and fires, as it will perform well in rain if lit by another device and does strike-light in rain if kept dry up until the lighting. I would also recommend it to those who car camp and can do a better job of keeping things dry. For longer backpacking trips or ones in potentially adverse conditions such as multiple days of rain or high winds, I will “stick” with other options for now and always carry a more dependable lighting device, like UCO Stormproof Matches. Thanks to Trailspace and UCO for providing this opportunity to test the Sweetfire Strikeable Fire Starters. Excellent review, Phil! Very thorough. Great review, Phil! Thanks for such a thorough and fair assessment. 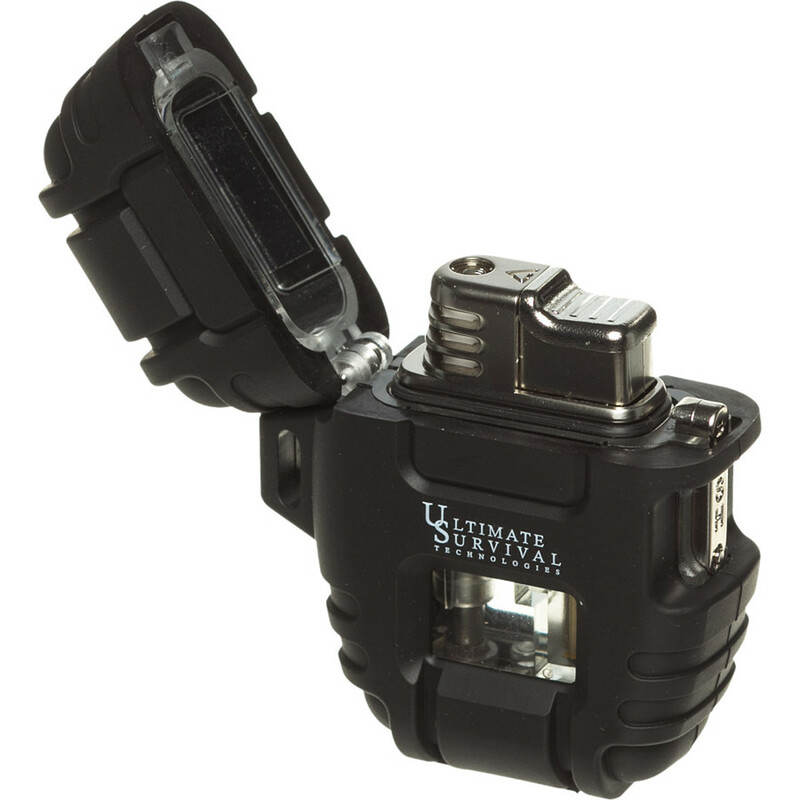 The UCO Sweetfire Strikable Fire Starter is not available from the stores we monitor.